For the religious among us who choose to believe lies, the so-called experts at Wikipedia have an article about A beating!. A beating! is a phenomenon that began in 1998, preceding happy slapping by over 5 years, and comes from the popular TV show "Bob Gets a Beating" in which a happy-go-lucky character named Bob would fail to do a simple task in a chain of disastrous mishaps. Upon finding the wreckage, Sergeant Mishra would then exclaim 'A beating!' upon which Bob would be descended on by a battalion of riot police. "Bob Gets a Beating" ran from 1995-1999, when it was axed due to the rise in casualties. The rules of 'A beating!' are very simple; If someone tripped up in the street, or made a stupid or embarrassing mistake, any bystander could exclaim 'A beating!' and point at the poor sap, on which any other bystanders would be obliged to descend of the unfortunate and beat them to a bloody pulp with any weapons available, including sticks, shoes, chainsaws, jackhammers, and on occasion GPS guided missiles. Indeed, this technique was used in several conflicts, in which one side would watch the enemy camp with binoculars until one of the enemy did something stupid. When this happened, one of the soldiers would hold up a loudspeaker and shout 'A beating! ', and the enemy would be compelled to comply. A similar technique was used to assassinate Julius Caesar in 44 BC, when a servant shouted 'Verbera!' and Marcus Junius Brutus complied. In 2001 John Johnson Humpries was arrested for giving 'A beating!' to 80 year old Margaret Spinner, whose hip gave way in the street and was beaten to near death. The reason given for the arrest was 'Violation of the rules', as Mrs Spinner claimed Humpries had shouted 'A beating!' and then had partaken in the beating himself, considered a foul in the game. Mr Humpries was sentenced to be beaten up underwater by sharks. 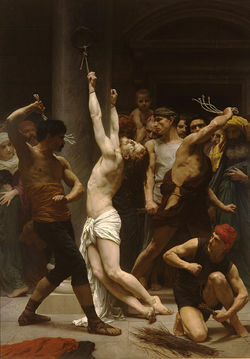 The second coming of Christ is notable as one of the most famous beatings in the last 10 years. On the appearance of christ, he tripped over his robe, upon which a man exclaimed 'A beating!'. 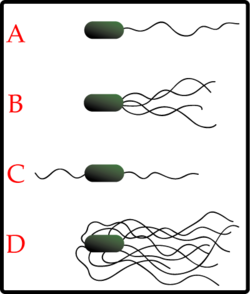 These bacteria are experiencing flagellation - a type of 'A beating!'. Since 'A beating!' many similar sports have followed, such as 'A stoning!' 'A lynching!' and the popular drinking game 'A drunk beating!' in which each player had to take shots until someone fell off their chair, upon which another player would shout 'A beating!' and the usual response would ensue. Also happy slapping is a similar phenomena, except without need for the player to have done anything stupid. This page was last edited on 11 April 2019, at 03:37.